The iCASH Launch in Medicine Hat, Alberta is a Huge Success! iCASH has been establishing itself as the leading short-term lender throughout Alberta, including the area of Medicine Hat. It doesn’t matter if you need funds to pay for an unexpected bill like a home appliance repair, or some emergency cash for a purchase – iCASH offers a full range of solutions for your needs. Making ends meet can be difficult in the best of times, and unexpected expenses can be a cash flow killer. We understand the stress that this can create, and are here to help, with simple, safe, and straightforward short-term loans to help solve your cash flow or unexpected expense problems. 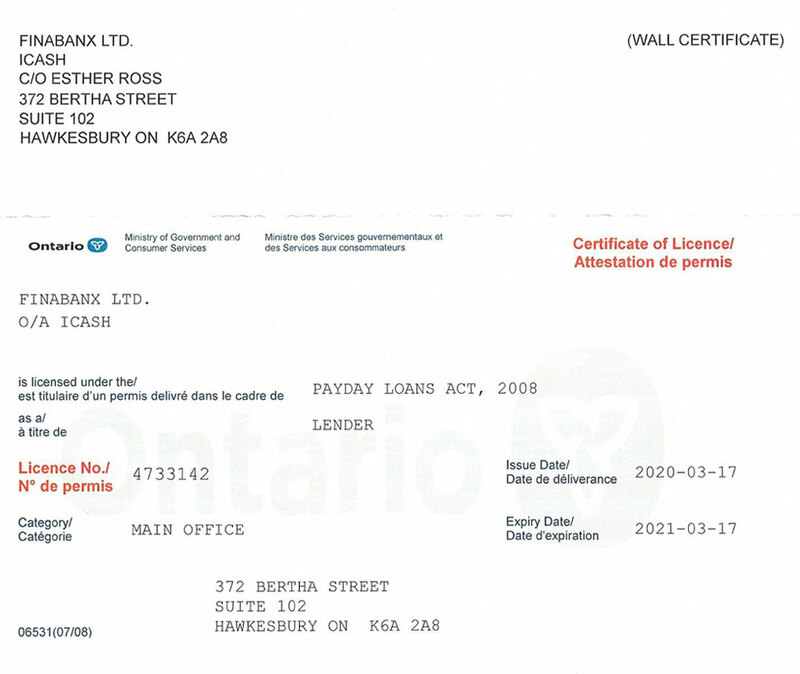 Unlike some lenders, iCASH takes the security of our customers and their personal data very seriously. Whether you’re in Medicine Hat, elsewhere in Alberta, or elsewhere in Canada, it doesn’t matter – we want you to know that working with iCASH is a safe and secure process. That’s why we’ve invested in top-tier, 256-bit encryption technology – the same kind that the best banks, financial firms, militaries, and intelligence agencies use – so you know your personal data will be kept secure and private. With a fully online application process that’s available 24/7, all our customers can receive quick service, from the safety and comfort of your home or office. What’s more, we have a full team of dedicated Customer Experience Advisors to help with any questions or issues, available from 7 am to 4 pm MST/MDT. Another reason why Medicine Hat residents can trust iCASH is our record of excellence, and strict internal Code of Conduct, that ensures responsible and fair lending practices in Alberta, and all of the provinces in which we operate. Residents of Medicine Hat communities like Park Meadows, South Ridge, Crescent Heights, North Flats, River Heights, Southeast Hill, Southwest Hill, Ranchlands, Cottonwood, and elsewhere throughout the city have successfully used iCASH services for their financial needs. Our continuing commitment is to provide the kind of solutions for short-term lending to cover whatever kind of needs our Alberta customers may have. Our philosophy is based on a commitment to honest, trustworthy, and transparent lending. One thing that sets iCASH apart from the competition in and around Medicine Hat is that we’re a fully-licensed direct lender. 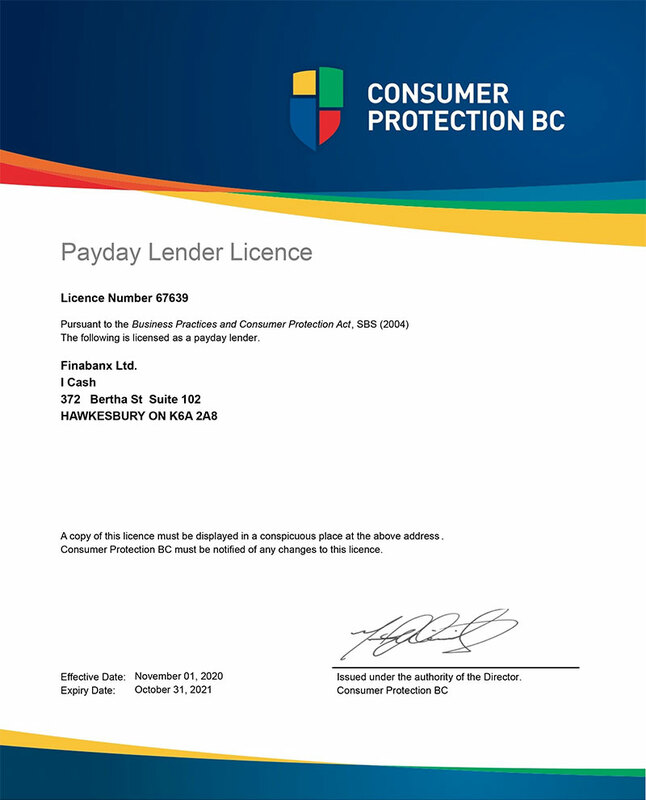 This means that you can trust iCASH – we’re licensed by both provincial authorities and the federal government, meaning our clients in Alberta enjoy both provincial consumer protection and federal Canadian protection, and all our loan products conform to the requirements of both of those bodies. We’re a trusted short-term lending provider who will never share or sell your personal information, and are committed to offering you your funds as soon as possible, usually the same day you apply. in Calgary, Edmonton, Red Deer, Wood Buffalo, Lethbridge, Airdrie, Fort McMurray, St. Albert. Just visit our website, select your loan amount, repayment plan, and provide some personal information to get started. We use advanced, automated decision-making tools to provide you with an instant approval decision once you submit your application. Once you’re approved, you just electronically sign your contract and accept the terms and conditions, and you’re good to go. Your requested loan funds will then be sent via electronic transfer to your bank account, usually in 5 minutes or less. It’s quick, convenient, and easy! Funds can be sent 24/7, so you’re always just a few clicks away from a short-term loan solution. While iCASH naturally considers your credit score, that is only one of many factors used in the decision-making process. We understand that a simple number or score doesn’t tell your whole story. We’re more concerned with your ability to repay the loan. So, even if you don’t have the best credit score, you still may be qualified for an iCASH short-term or payday loan. Our Code of Conduct surrounding ethical lending means we’ll never lend you money that we don’t honestly believe you can repay. 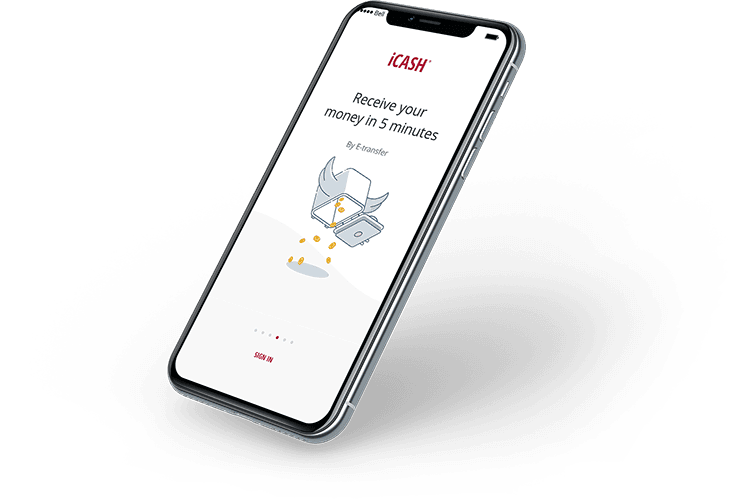 Since the application and lending process at iCASH can be completed entirely online, there’s no need to drive to a branch office in Medicine Hat or elsewhere in Alberta. Everything is handled online and electronically – even signing the contract and transferring the funds. Absolutely no mailing, faxing, or scanning documents, no in-person visit is required, and there is no need to receive a paper check. Everything can be done from the comfort of your home or office, which is especially convenient during the winter months, when those below-zero temperatures are present almost every day! As a transparent and ethical lender, iCASH is committed to being honest and forthright in our lending practices. Our Code of Conduct makes us the only lender that we know of in Alberta, or in Canada as a whole, with a clear, definitive policy focused on responsible and ethical lending practices for our customers. All costs associated with our loans are clearly spelled out as part of the approval process, and there are no surprises or hidden fees. All documents are in plain English, with common terms that ordinary people can understand. And, of course, our customer service team is available 7 days a week to answer any questions you may have. 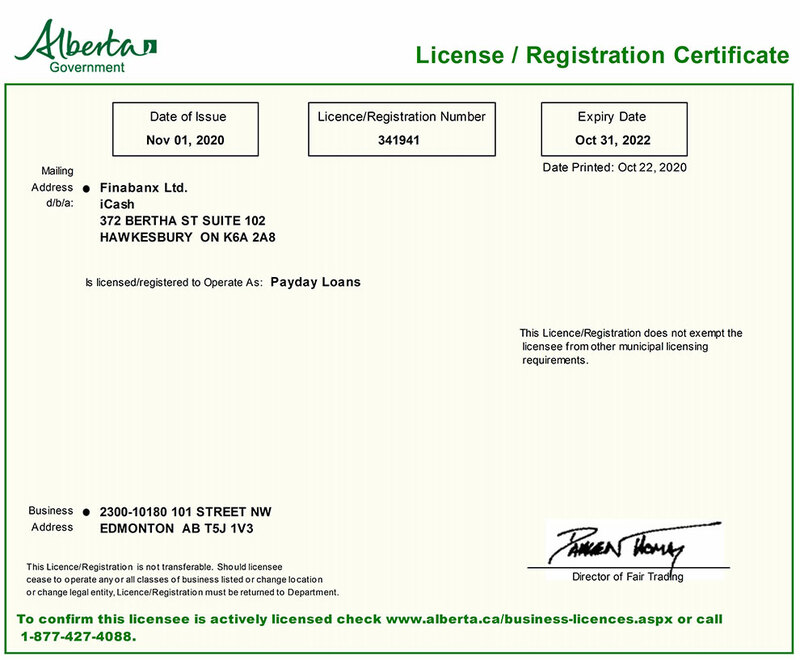 iCASH is fully licensed to operate in Medicine Hat and throughout Alberta, as well as most other provinces in Canada. Most customers of iCASH are approved and receive funds the same day. There are exceptions, however, and as part of our commitment to honesty and transparency, we have to fully admit that same-day approvals are not guaranteed. But, in the vast majority of cases, our automated approval system, using state-of-the-art data analysis tools, can provide a decision in just a matter of minutes, and set your funds on the way shortly thereafter. For Alberta residents, most approved loan funds are sent to your bank account the same day. As mentioned earlier, the security and privacy of your information and finances is one of our main focuses at iCASH. We use ultra-secure 256-bit encryption technology, which is effectively impossible to break by brute force. This keeps your information entirely safe and secure during and after your transactions with us. Our data retention and management policies follow industry best practices, and our ethical and secure management of personal information remains our highest commitment. No matter where in Medicine Hat or the surrounding area that you may live, work, or play, iCASH offers the short-term lending, payday loan, and emergency cash solutions to make your life easier. From South Vista Heights to North Flats, Southview to Crestwood and Norwood, Riverside to Cottonwood, and Ross Glen to the Hamptons, and all points in between, iCASH is here to serve the residents of Medicine Hat and all of Alberta.